Last weekend we checked out the extended weather forecast and saw we were in for another week of 100+ degree weather. So we decided to start our homeschooling year early and are officially back at it! First Day of (Home)school! Sadly, Iris broke her arm this summer :( which I wrote about here and here. Indigo is growing so quickly, I can hardly sew fast enough for her. Ready-to-wear (store bought) clothes do not fit her well at all because she is so tall and thin. I'm always altering patterns quite significantly to make them work for her long and lean build - often sewing a size 6 chest size and a size 10 or 11 length. This top is an Ottobre pattern : #28 in the 3/2014 issue . I love having Ottobre magazines at home- they're like a treasure trove for the basics. The only change I made to the pattern was to cut the arm scythe bindings at 1 1/4 inch instead of 1 inch. I also sewed the bindings to the wrong side of the shirt first, turning them over to the right side for an easier finish. This is my preferred method. 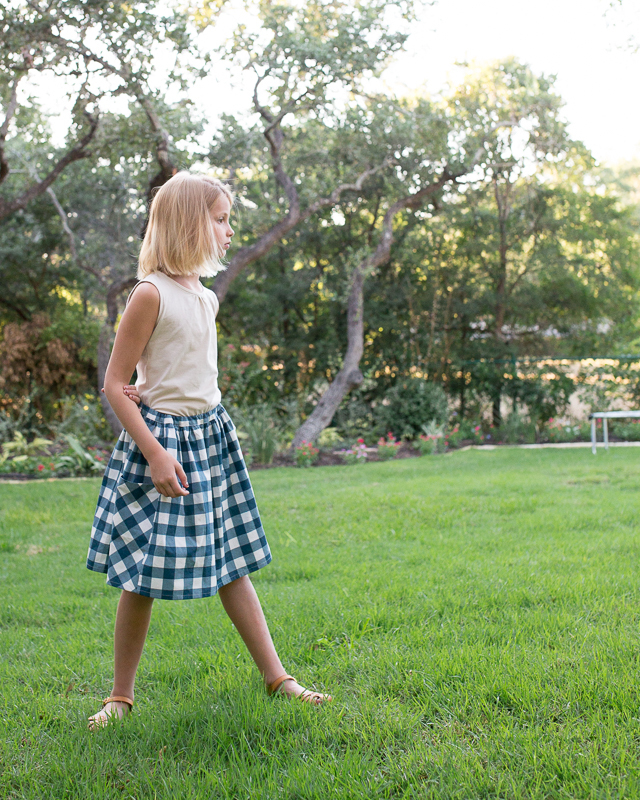 The skirt is a free pattern/tutorial by the Purl Bee called the Gathered Skirt. I sewed it in Maureen Cracknell's Folk Plaid. 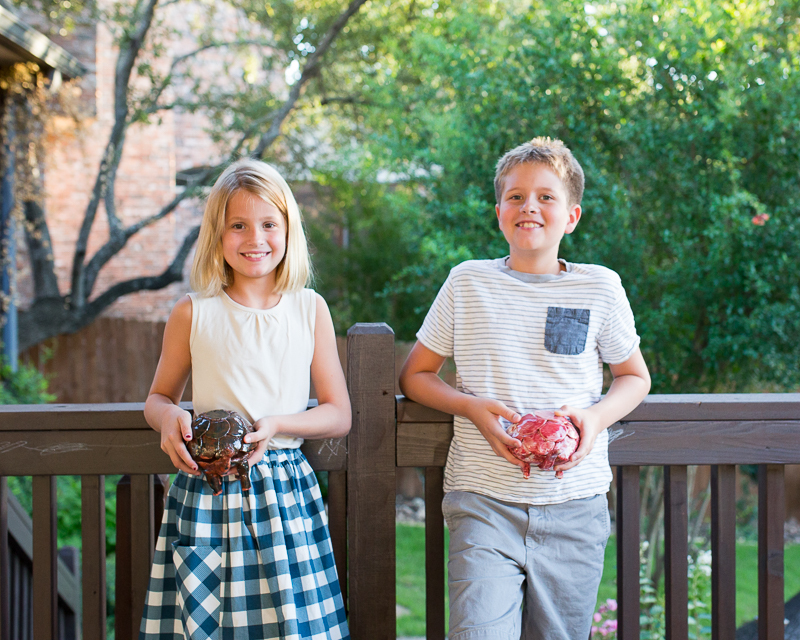 This summer Jude and Indigo took a pottery class together. I was absolutely amazed at what they made during these 2 hour weekly sessions. It was just incredible. One of the things they made was bowls. It was their first time at the wheel and the bowls turned out great ... likely with a litle help from the instructor! ;) Not only are they food safe, but they're also microwave and dishwasher safe, too! 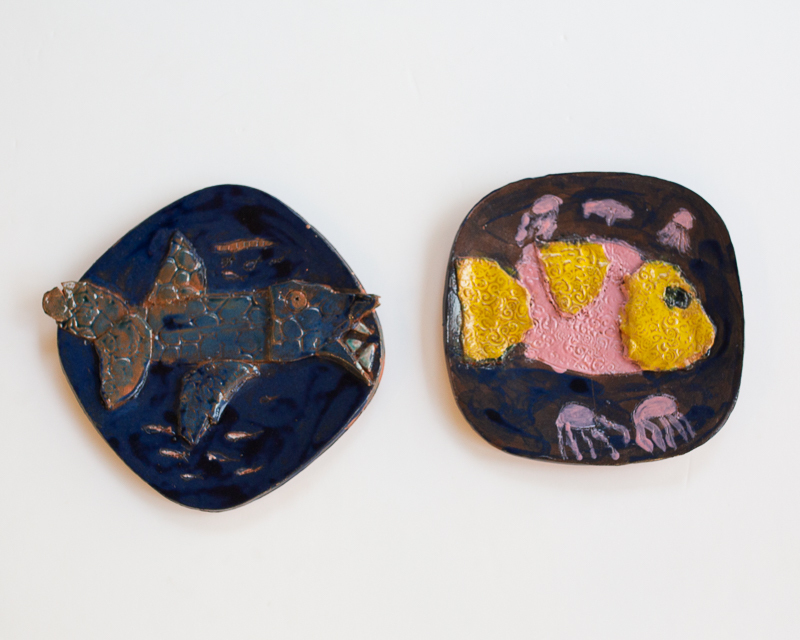 Their very first project was these fish plates. Jude's is the fearsome barracuda. They also made these turtles. The shells come off and they can be used for storing jewelry or other special items. These two are just the best of friends. 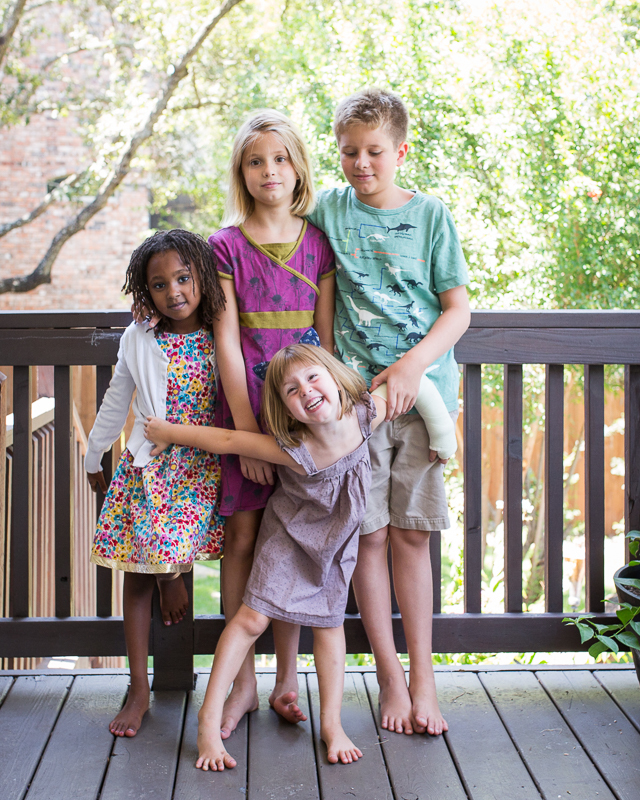 I think one of the things that has surprised me most about homeschooling has been how close it has brought our family. Initially I worried homeschooling might be a liiiiitle too much togetherness. You know the saying, that familiarity breeds contempt. 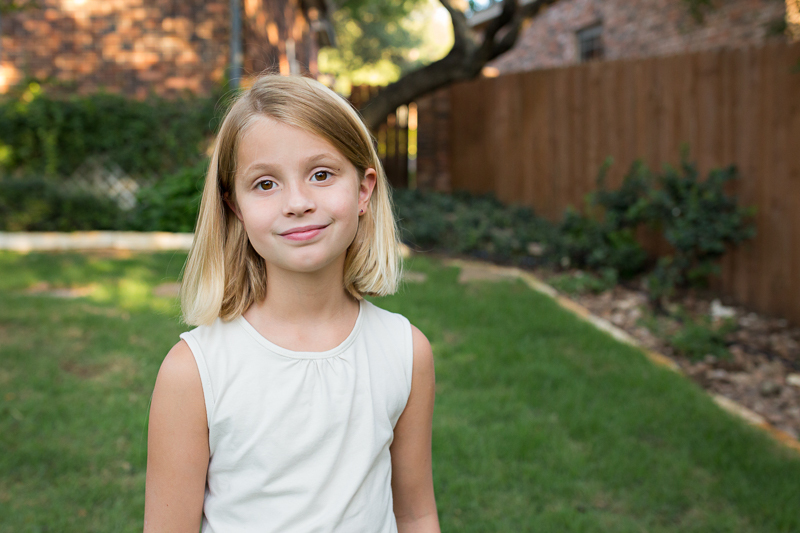 I first and foremost wanted to preserve healthy relationships with and between my children. But I've actually found the opposite to be true. 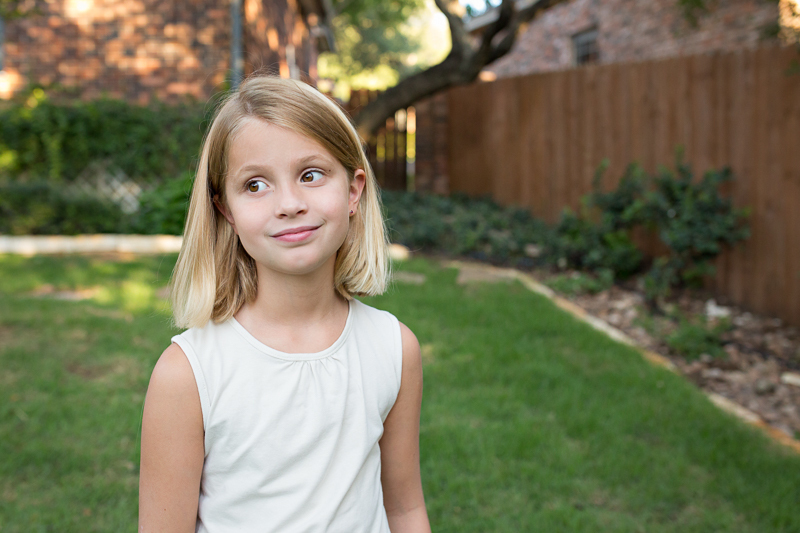 Rather than breeding contempt, homeschooling has brought our family closer than ever. 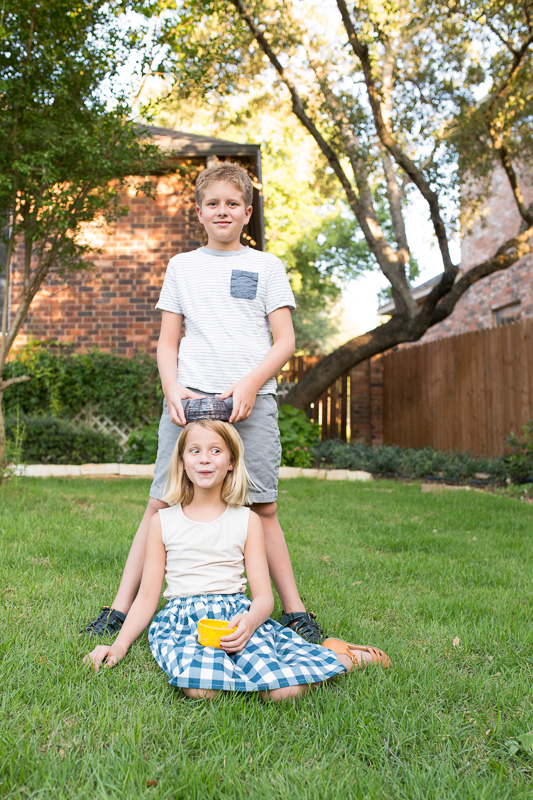 Sure, my kids still have fights and squabbles. That's part of growing up with siblings. Every day we work on choosing words and actions that bring life, that build up rather than tear down, that encourage rather than discourage. 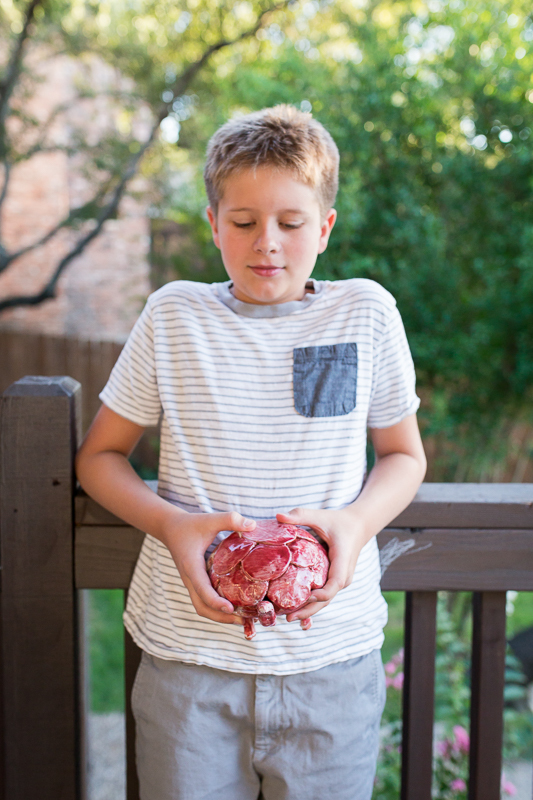 And yes, they're children so they need lots of reminders about these things, but with time, patience, and gentleness, I am seeing it taking root. They deeply love each other, and more than that, they truly enjoy one another's company. It's a beautiful thing to observe. Of course, that's not at all to say their closeness is due to homeschooling, more that homeschooling has not hindered or hurt their relationships as I had initially feared. Regardless of how it comes to be, watching your children become good friends has to be one of the greatest joys of parenting. Love this skirt, of course. 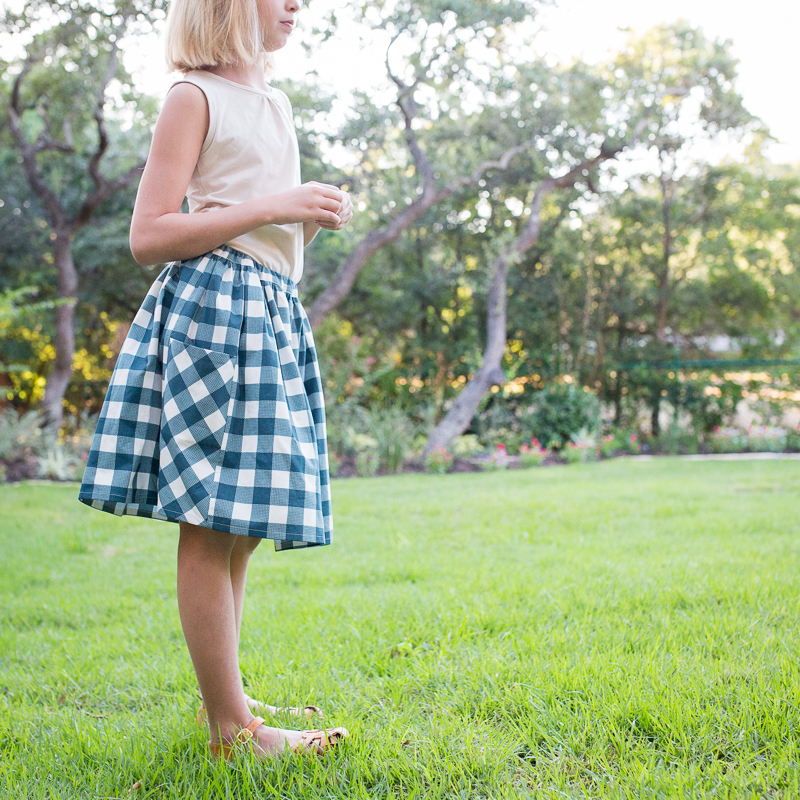 I'll have to add it to our list of skirts we want to sew. And we too have experienced the closeness you write about from homeschooling. But Indigo does look so grown up! 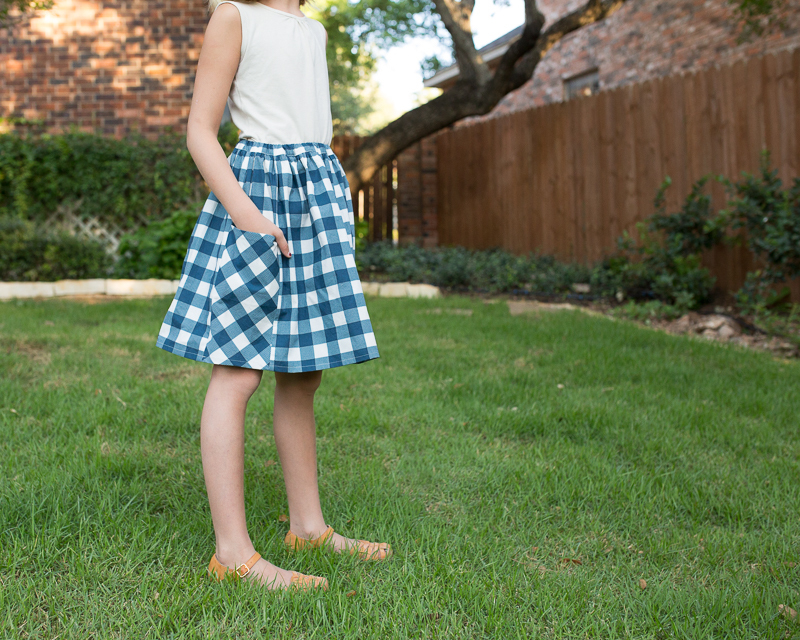 I have to do similar pattern mods for my oldest - lately I've been sewing 3s with a 6+ length. 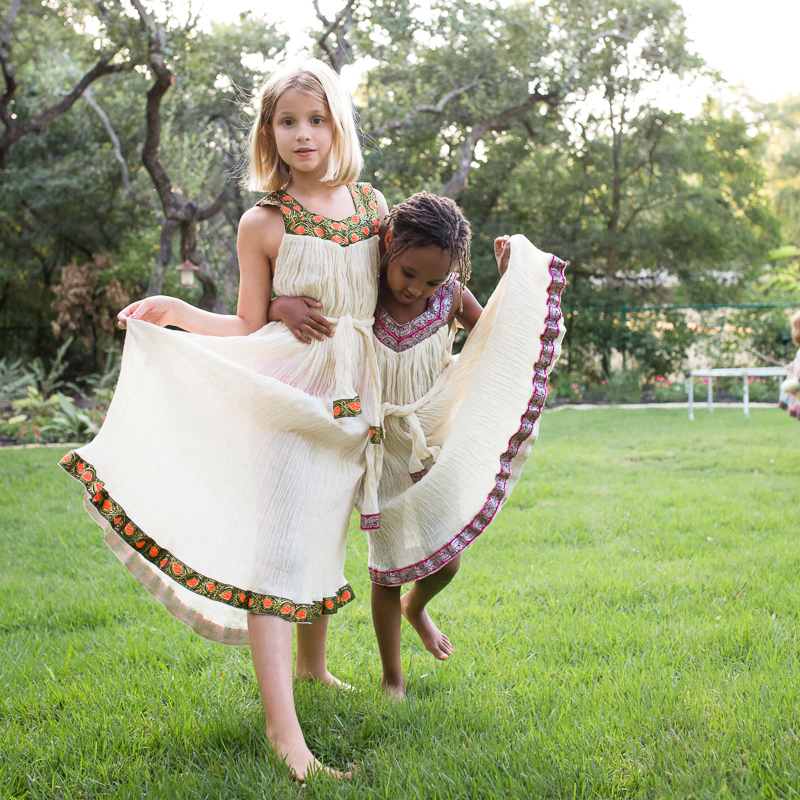 It does make me so thankful I sew, though, because as you said, finding RTW clothes for her is kind of a nightmare. I read your post with Blandine i translated it to her!! 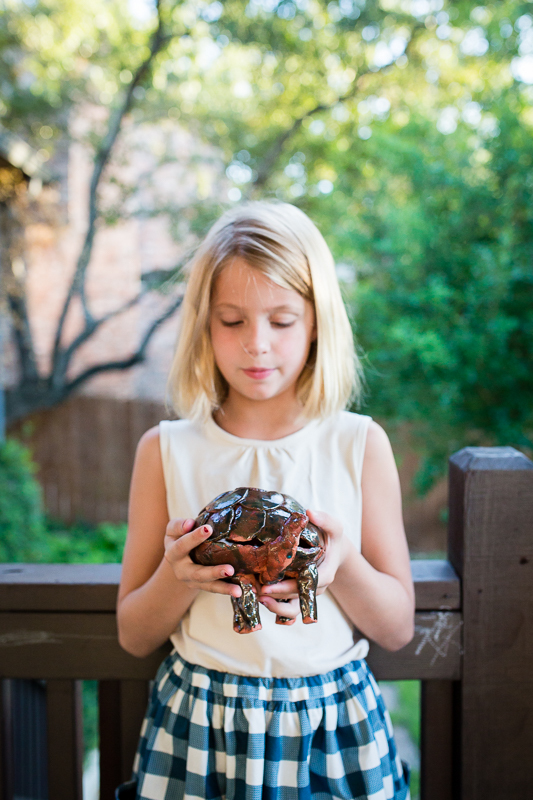 She loved the skirt and the turtle ! She Also said " see! They argue too, and rachel tells them the some things as you do !!" Yeah, it helps to know that your kids can fight too ! I had to use the Fahrenheit-Celsius-converter, but then my mouth dropped open: you started studying while it was so hot outside?! What lovely pictures. Jude and Indigo are kind of mirroring each other in most of the pics which is really sweet. We had a pottery wheel at home when I was a kid, and now my dad has one again. My kids love it too. Nothing beats tooling around with clay! There's a lot of fun to be had with glazing experiments too, and some good science lessons to come from it! I did some pottery growing up, but never on a wheel. They are doing so great!! I'm so glad I got to witness your kids repect and love for one another in person. We have a scripture cd that sings about treating others as you would want them to treat you. Avery says it's my song since I say it ALL. THE. TIME. Your children are all so lovely. I love their names too. Beautiful job mom! Oh, the girls look lovely in their dresses! The sizes seem to be okay too. I love the skirt you made Indigo. I hadn't been to the Purl Bee before, but I have now (and have a few more items on my sewing list!). That's so awesome that the kids can go to pottery classes. Their creations are amazing! So much loveliness here!! It's too much! 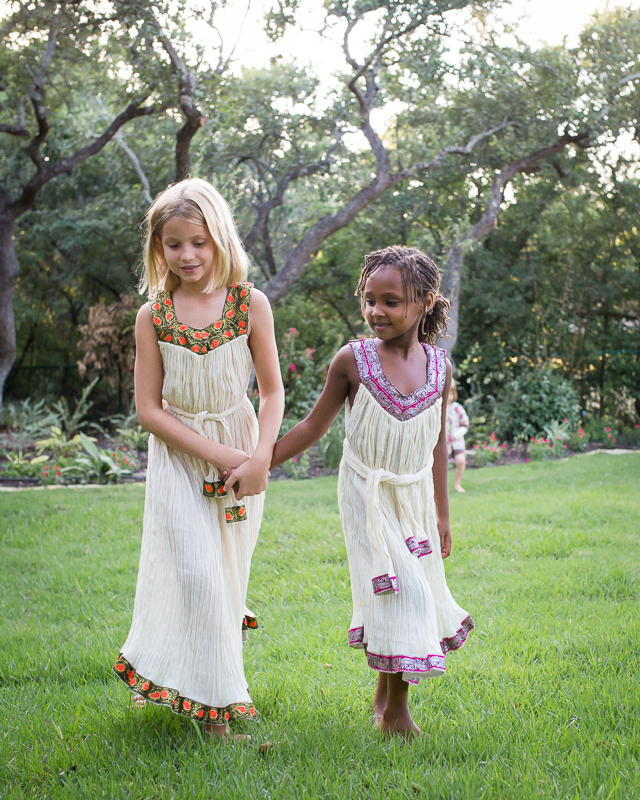 Lovely outfits, pottery, and best of all, beautiful children who are friends for life! So wonderful. I always feel so grateful that my children love each other so much - and I hope it will last!!! 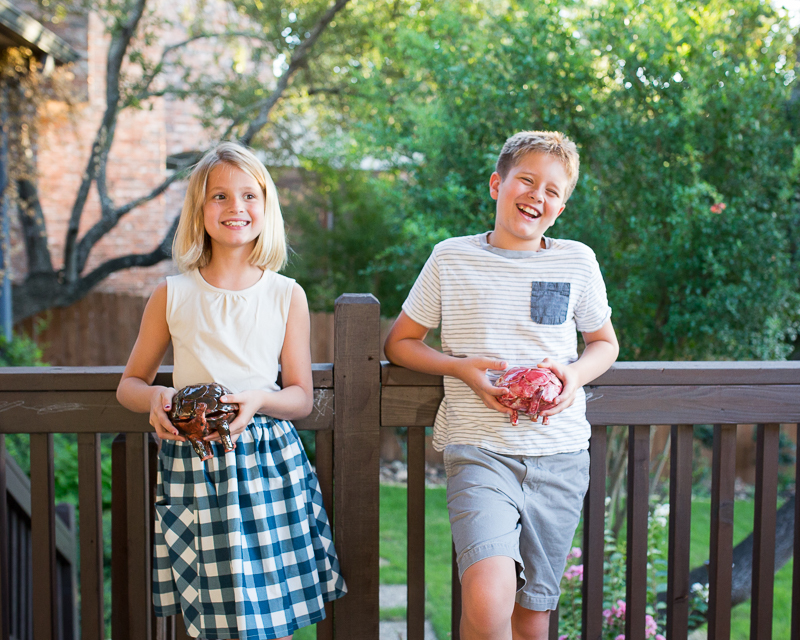 Seeing them be friends to each other is definitely one of the greatest blessings of parenthood for me, just as the fear that they may not be friends is high on my "parenthood fears" list. But Steve and I are good friends with our brothers and sisters and my children are growing up around many aunts and uncles, so hopefully that helps! 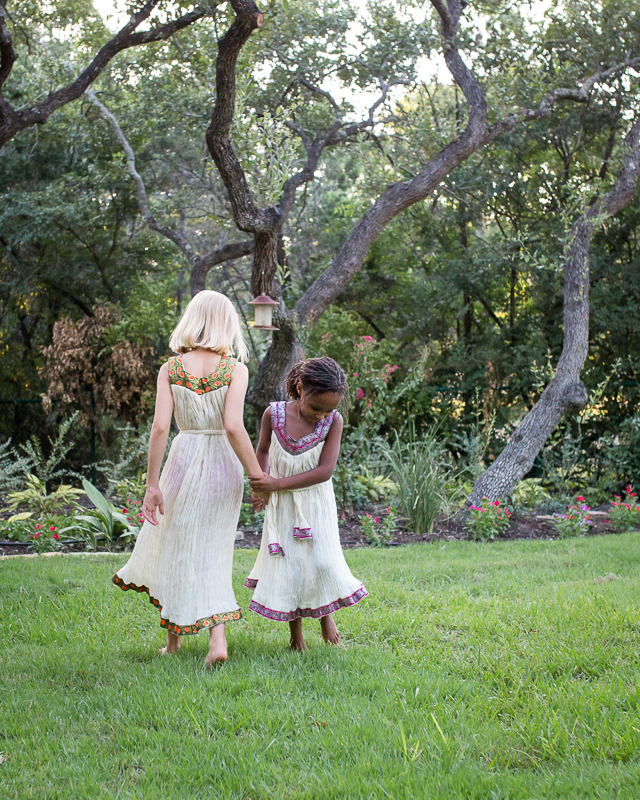 Ah, beautiful photos, love the dresses, and really love Indigo's new outfit! You can see how tall she's getting lately, oh man. 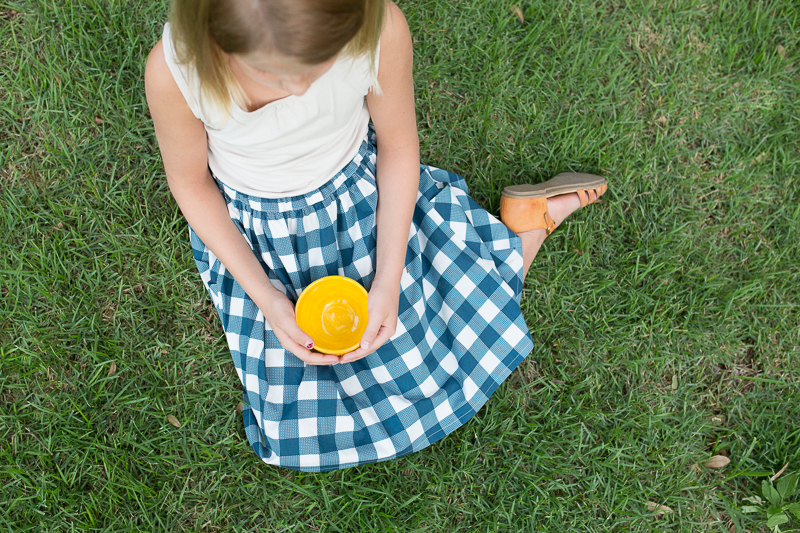 I've gotta post the similar skirt I made Em - photos are still in the editing phase!